While emerging markets have driven growth for multinational corporations (MNCs) for years, future performance will be challenged by slower macroeconomic growth, increasing costs, and heightened competition from local companies. To reduce these pressures, MNCs will have to focus much more on improving their competitiveness through constant productivity gains. In a recently released report, Transformation in Emerging Markets: From Growth to Competitiveness, The Boston Consulting Group (BCG) argues that most MNCs have emphasized growth in emerging markets at the expense of other metrics, such as operating margins. Shifting focus from growth toward a combination of growth and rapid, steady productivity gains requires changes in both strategy and execution. It also usually requires a shift in thinking about goals, processes, and governance on the part of both global and local management. Many MNCs will need a fundamental transformation in their local operations, executed market by market. But the risk of failure is great. BCG research shows that only about 10% of companies believe they have the full complement of capabilities required to win overseas. Moreover, while many companies get their broad globalization strategies right, they come up short on execution in individual markets. Historically, rapid growth in emerging markets allowed companies to support behaviors such as approving investments without defined returns or time frames, extensive customization of products, limited process discipline, and building up teams in anticipation of future growth. 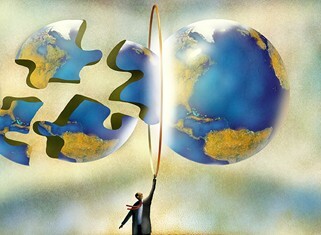 As emerging markets have become more turbulent, some MNCs have questioned continuing their presence in these countries. But most emerging markets still have growth rates that are higher than those of developed markets. The biggest difference between past and future assessments needs to be a more radical examination of the actual competitiveness of the MNC’s local operation in each market and segment. The best companies will know exactly how big the cost differentials are between their operations and those of their strongest local competitors. Another manifestation of the shift to profitability will be developing new ways to think about portfolio management. Many companies have developed a broad portfolio of offerings in emerging markets, often with individual products tailored only for individual countries. Leading companies are now applying a much sharper definition to targeted segments in order to assess products’ cost-effectiveness. 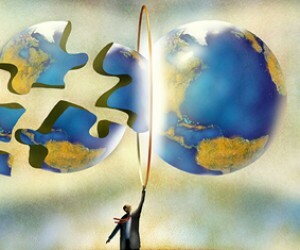 And they are rethinking how they can adapt offerings from one emerging market to others and thus gain scale advantages. After years of chasing growth, many local organizations are neither sized nor organized optimally for a tougher market environment. MNCs should take an outside-in look at their organizations and cost structures, as if they were examining the company through the eyes of a private-equity buyer. Reducing dependence on expatriate executives and rebuilding the leadership team to put people with a strong competitive and entrepreneurial mind-set into new leadership roles is vital. More companies have to recognize the need to establish process excellence across all their functions in all emerging markets, but getting the balance right between standardization and local adaptation of processes can be tough. Some companies are starting to use emerging markets as pilots for completely new definitions of processes, especially in the area of digitization. Emerging markets can have distinct advantages in this regard: there are few embedded legacy processes or cultures to combat, and these markets are often technology savvy, so digitally enabled, leaner processes can be deployed with relative ease. Companies also need to redirect the behaviors of their local teams. Problems such as a limited sense of accountability on the part of individual managers, little collaboration and a general hesitancy to ask for help, and an absence of cost consciousness are common in emerging markets. A copy of the report can be downloaded at www.bcgperspectives.com.